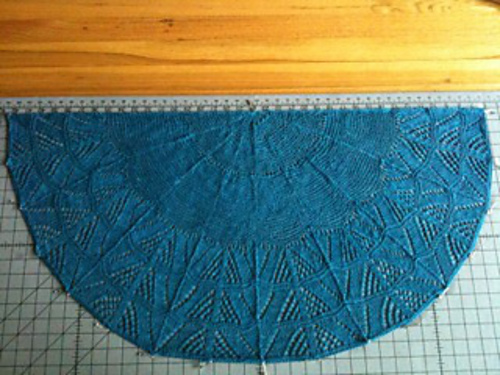 Duoming on Ravelry/Sandra S achieved a very different result, using Green Mountain Spinnery yarn. The laceweight wool really gives the garter ridges and lace panels crisp definition. 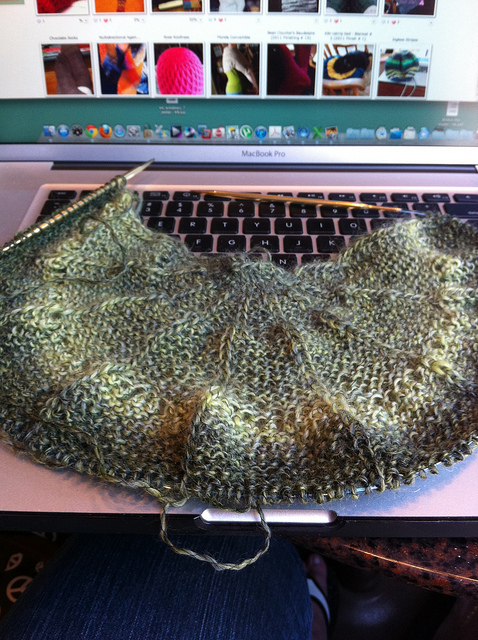 An intriguing WIP….and check out the Ravelry screen in the background! Circular cast-on, loose bind-offs and the unusual arc-design are giving our KAL knitters plenty to talk about, and people are zipping through those arcs (way faster than me). Please feel free to join us if you'd like a fun challenge for a special yarn; the stash-dived ones are working out great! 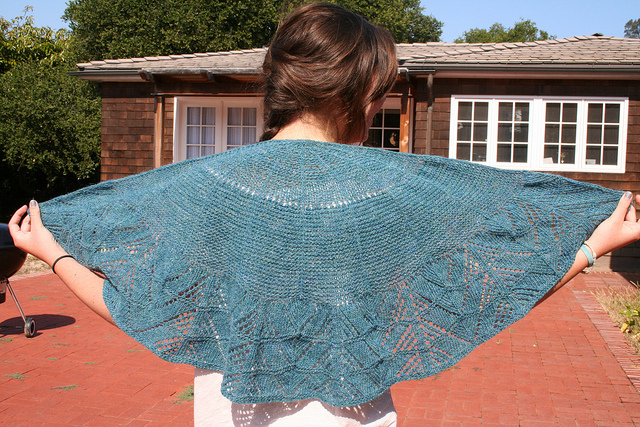 Oh, almost forgot, if you'd like to purchase fannette as part of the Summer Pattern Collection, it's right here.